Score holiday deals at a luxury hotel when you book a stay at Arlingston Resort & Spa in Hot Springs, Arkansas. 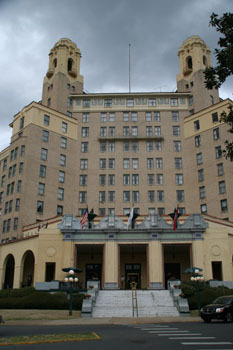 As Arkansas’ largest hotel, the Arlington is an historic resort with all the ambiance and hospitality of a traditional, grand old Southern hotel. Established in 1875, it features outstanding restaurants, unique outdoor heated pools and hot tub as well as its own bath house utilizing the famous healing hot springs of the city. · Start with a Thanksgiving Day Feast Thursday, Nov. 24 from 11 a.m. to 2 p.m. and from 6 to 8:30 p.m.
· Saturday, Nov. 26 offers an evening of laughter with the Murder Mystery Comedy entitled “Bullets in the Bathtub.” The event begins with a reception to mingle and learn characters. Then dinner is served while the crime is solved. Tickets are $45 per person. • Gingerbread House Celebration, Tree Lighting and Caroling and complimentary refreshments in the hotel lobby on Friday, Dec. 2 from 4:30 to 5:30 p.m.
• Hot Springs Flute Ensemble –hotel lobby on Saturday, Dec. 17 at 3 p.m.
• Christmas Day Feast –Sunday, Dec. 25 from 11 a.m. to 3 p.m. in the Venetian Dining Room and the Fountain Room Grill. • International Feast –festive buffet featuring cuisine from around the world will be served on Saturday, Dec. 31 from 5:30 to 9:30 p.m. in the Venetian Dining Room. · Welcome in the New Year in style at the Gala Dinner Dance in the Crystal Ballroom on Saturday, Dec. 31. 7:30 p.m. $175 per person includes a five-course gourmet dinner, two before- or after-dinner drinks, wines with dinner, champagne toast at midnight, party favors, tax and gratuity. · Gala Dinner Dance guests can also visit the Festival Party next door (8:30 p.m. to 1 a.m.). Tickets are $45 per person, plus a Black-Eyed Pea Reception at midnight in the Magnolia Room. · New Year’s Eve Packages are available for one- or two-night stays for couples. The Celebration Package includes a wine and fruit basket upon arrival, special Arlington memento, two tickets to the New Year’s Eve Gala Dinner Dance, plus breakfast each morning. Enjoy the festivities for one night for $500 or only $95 more for two nights. · The Festival Package includes two tickets to the International Feast, the Festival Party and Dance, plus breakfast each morning. Stay one night for $323, or two nights for only $395. · Enjoy the Spa Package from Nov. 27 through Dec. 29 and Jan. 1-12 for $335 per couple. It includes two nights, one thermal mineral water bath and massage for each adult, plus breakfast for two each day in the dining room. · The Arlington Hotel is partnering with Garvan Woodland Gardens to offer a Festival of Lights Package from Nov. 19 through Dec. 30. For $135, a couple can spend the night at the historic hotel, visit the “Lights on the Landscape” at the gardens and enjoy breakfast the next morning in the hotel dining room. · Other special rates are available Nov. 21 through Jan. 12. To reserve a room or package, call 501-609-2533 or 1-800-643-1502. 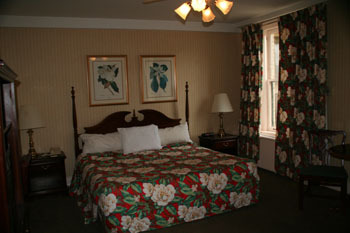 For details about special events visit www.arlingtonhotel.com. Information courtesy of Gaye Hardin, Arlington Resort Hotel & Spa. Photos by Larry Burmeier.